Congratulations to Marcy S., the winner in Monica's giveaway. Thank you to all who participated! I was out with friends the other night, and one of them asked if I ever get tired of my characters. It’s a good question, and it’s kind of amazing that I spend so much time with them but I really don’t get tired of them. Most of the time, when they get their happily ever after, I’m ready to send them off into the world without fussing over them anymore, but sometimes I get the chance to visit them again. And I love it! 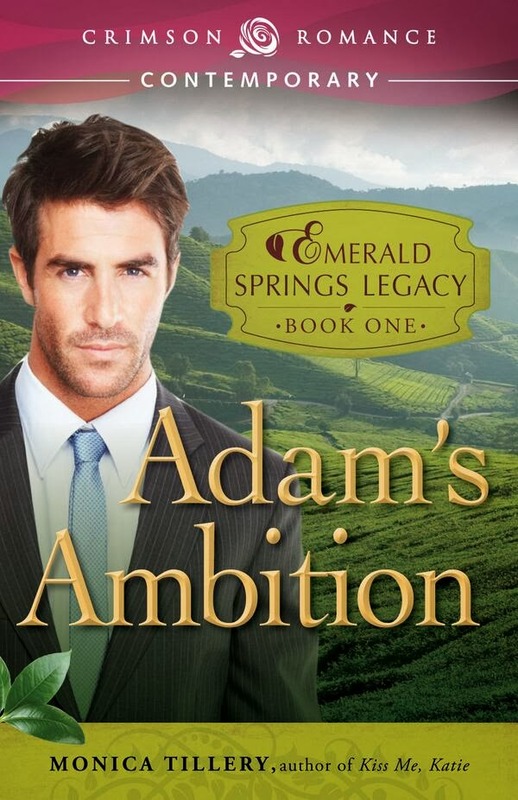 Last month, I released Adam’s Ambition, book one in the Emerald Springs Legacy continuity. Four authors and I collaborated on a series of five books centered on the lives and loves of two families in the fictional Washington city of Emerald Springs. Each book stands alone, of course, giving one of the major family members his or her own story. We hope that readers will enjoy getting to know the Whitman and Sanders families as much as we did writing them. The most satisfying, exciting part of the next four books for me, the ones I didn’t write, is that I get to see my couple, Adam and Zoe, live out their happily ever after. For four more books! Heaven! Like visiting with old friends, I can’t wait to see them again in the other stories. I have a new book, A Sweet Deal, coming out on March 24. Talk about not letting characters go! This book is one that has been through many incarnations, but the first version had a different heroine. For the longest time, I couldn’t see what was right in front of my face: the story wasn’t working because the heroine was the wrong woman. I finally bit the bullet and rewrote it, but not before I gave my original heroine her own romance in a short story that came out in December. My original heroine, Rebecca Sinclair, found her one and only in Bells Will Be Ringing, and I think she’s much better suited to the man she ended up with. As a reader, I enjoy series, but I never thought I’d write one. Now that I keep finding myself thinking about the same characters so often, I am starting to see the appeal. What about you? Do you love series? Or do you like to move on? What are some of your favorite series? I’d be happy to send a digital copy of Adam’s Ambition to one lucky winner. Meet Adam, the first of five unforgettable characters in the Emerald Springs Legacy. Getting over Adam was the hardest thing Zoe Miller ever had to do, and she’s in no hurry to do it again. She’s focused on her new life running Emerald Springs’s finest bakery, and she’s finally put the heartache of losing Adam behind her. When he rolls back into town, she knows it would be wiser to keep her distance from her high school sweetheart, but some things are easier said than done. A broken heart would be more devastating the second time around, but can she resist the lure of the man he’s become? Now everything Adam took for granted is suddenly threatened, and he’s caught between his newly awakened attachment to Emerald Springs and the career he built with his hands. He wants it all - the girl, the farm, the corner office - but first Zoe has to find it her heart to give him a second chance at all. Giveaway ends 11:59pm EST March 9th. Please supply your email in the post. You may use spaces or full text for security. (ex. jsmith at gmail dot com) If you do not wish to supply your email, or have trouble posting, please email maureen@JustContemporaryRomance.com with a subject title of JCR GIVEAWAY to be entered in the current giveaway. How interesting! Do you have any input on what happens to your characters going forward? Sounds very interesting. Good morning Jonetta! When the other four authors were writing their books, we kept in contact, and they would ask if Adam or Zoe would behave in a certain way, maybe see if something was plausible. We mapped out the continuity in the beginning, so everyone pretty much knew where the characters were headed. When I read a draft of the last book (Ashley's Allegiance by Robyn Neeley, coming in June), it was bittersweet, seeing them for the last time. Thank you for your comment! Thanks for answering. How cool and you have to have a lot of trust in each other to do something like this. Looking forward to reading your book. This sounds fun!! Both to read and write! I am in no way an author but writing a series with other authors must be interesting! I do love series books. Most of the time I'm not ready to give up old friends either. I read the e-book that previewed the Emerald Springs Legacy series and it really made me want to read it! I love series because they give me the chance to get to know characters better. Thanks for the chance to win a copy of your book, Monica. I do enjoy reading series. There are some series I would want them to end and the series that have an ending ended too soon. But when these series are roll-over storylines, I'm happy again. I do enjoy series as long as each story can stand on its own. Some of my favorites are Lucky Harbor by Jill Shalvis and the Mackenzie Family by Jennifer Ashley. 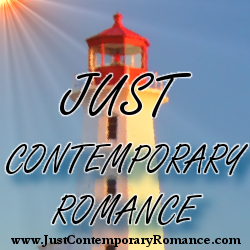 Thank you, Maureen, for having me on JustContemporaryRomance again! Visiting is always a pleasure. And thank you, readers, for the great comments! I had a wonderful time this weekend!